I've always loved the "Old West" and the strong, bold characters I've read about and seen in the movies. I got super excited about the big BlogPaws 2015 Pet Blogging Conference that took place in the great city of Nashville TN last week. I consider Nashville a hub of activity for cowboys and cowgirls like me, so it made me yearn to be there. I wanted to go so badly, but it was not meant to be. 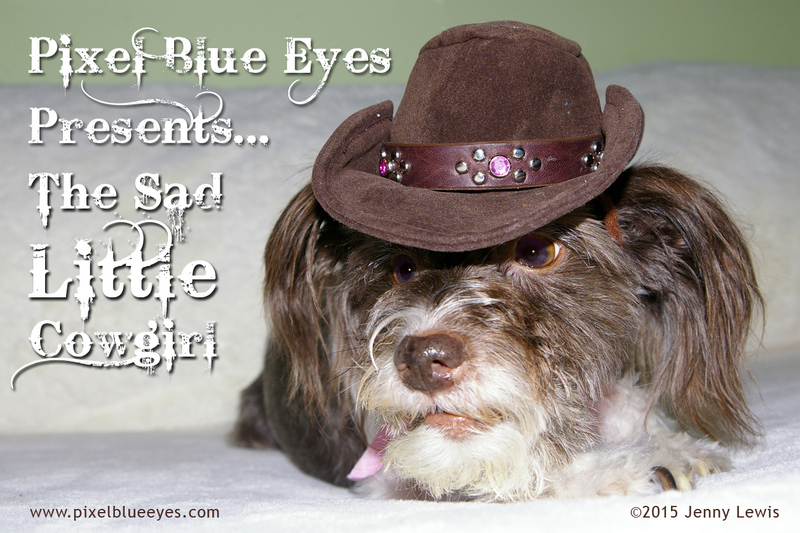 I became a sad little cowgirl and moped around for a bit. Then Mommy said, "Pixel, you don't have to be a sad little cowgirl. You can go anywhere and do anything if you just use your imagination. I know we didn't go this year, but we can plan for 2016. 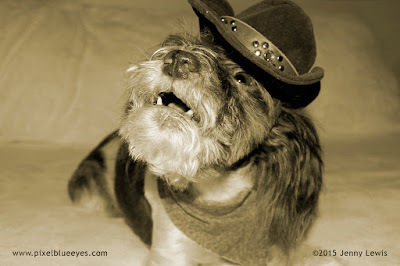 Besides my sweet little cowgirl, next year, BlogPaws is going to be in Arizona, at a place called the "Wild Horse Pass" Resort. I'm planning on us going, so let's start planning now!" Arizona?? 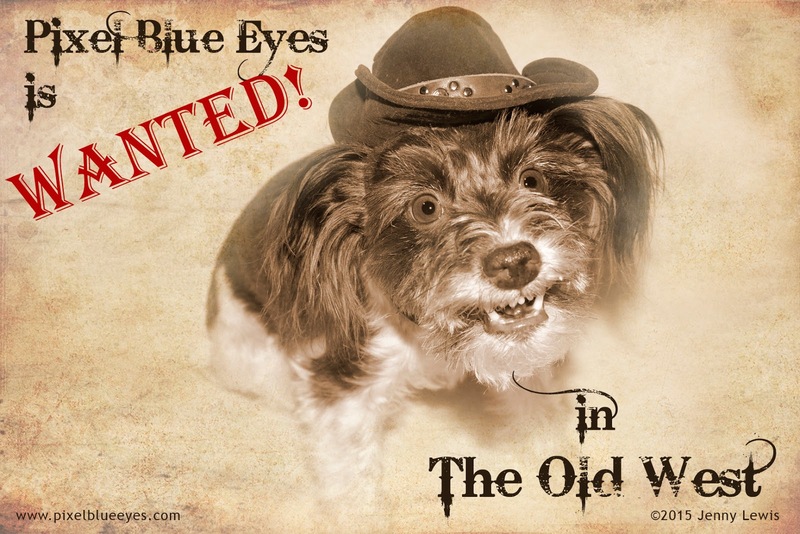 That IS the Old West! That thought really got my little imagination churning and I began feeling better right away. I grabbed my saddle bags out of storage and got to thinkin'. 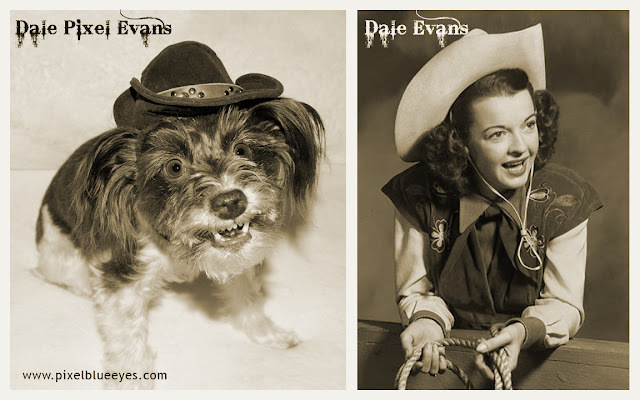 I love the idea of being a cowgirl from the bygone days and all the romance, adventure and fun that cowgirls and cowboys had. I really got into the idea of being a cowgirl and found myself wearing my hat everyday. I built an imaginary campfire in my bedroom, made Mommy cook up some pork and beans for dinner each night and wore my 'kerchief and saddle bags around the house like I was perpetually headed for the OK corral. I could feel the hands of time running backwards as I sang old lonesome cowboy songs at the top of my lungs as I roasted marshmallows. 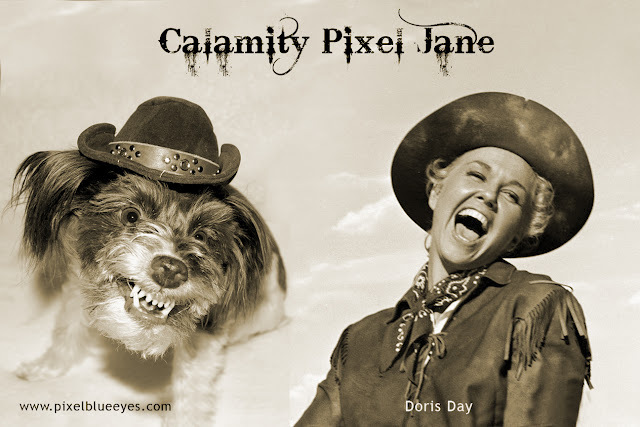 I imagined myself sharing the campfire with Old West greats like Annie Pixel Oakley, Calamity Pixel Jane, Dale Pixel Evans and even the Shakiest Pixel Gun in the West. Now my heart belongs to the Old West. Well partners, I'd best skeedadle. Better go wrestle up some grub, load up my saddle bags, jump on my saw horse and ride off into the plains to find me some adventure. Besides....I hear there might be someone lookin' for me out in the old territories. Anyone care to join me? It's so fun to use your imagination, isn't it? 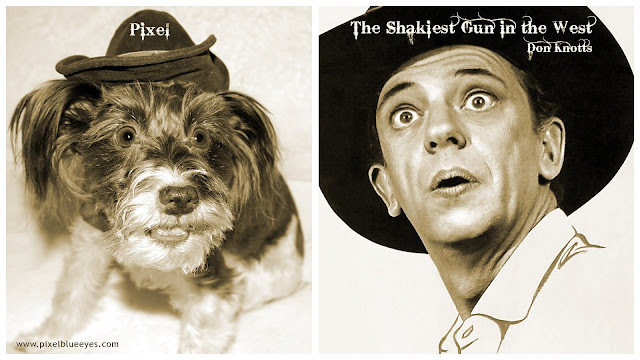 So which impersonation of mine was your favorite? Let me know in a comment friends! Today's fun is part of the Mischief Blog Hop. 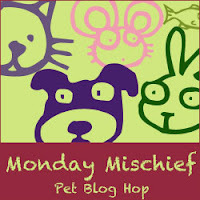 Check out the links below of my pet blogger friends to see what mischief is being had! 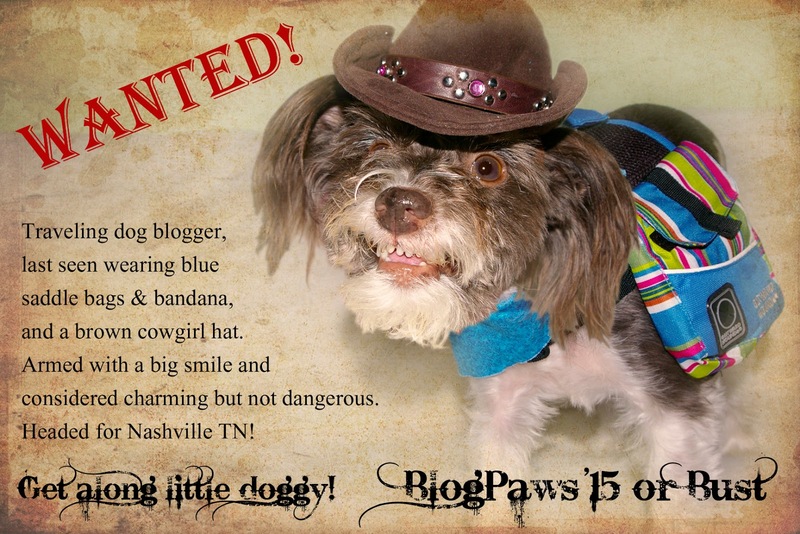 Too funny - I love the photos - you sure look good in a cowgirl hat!! 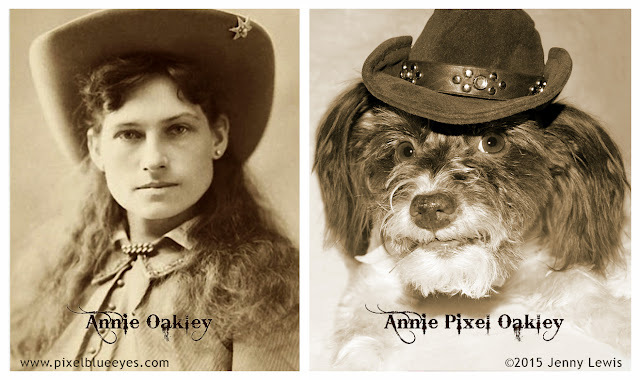 My favorite is Annie Pixel Oakley!! I always wanted to be a cowgirl too! These pictures are so awesome! I can't wait for next year. The hotel is just about 5-10 minutes from Rawhide, which is a recreational western town. You'd love it! It's a lot of fun. I love how similar your poses are to the pictures of the actors. You could make a western calendar out of those pictures. Even when you are" under the weather "you never fail to entertain. Love M.J. Thank you so much for the wonderful compliments! I am very glad you liked all of them, and that you appreciated my attention to detail in trying to get Dale just right. She's such an icon of the old westerns, such a lady. Love you too my dear friend! MWAH! 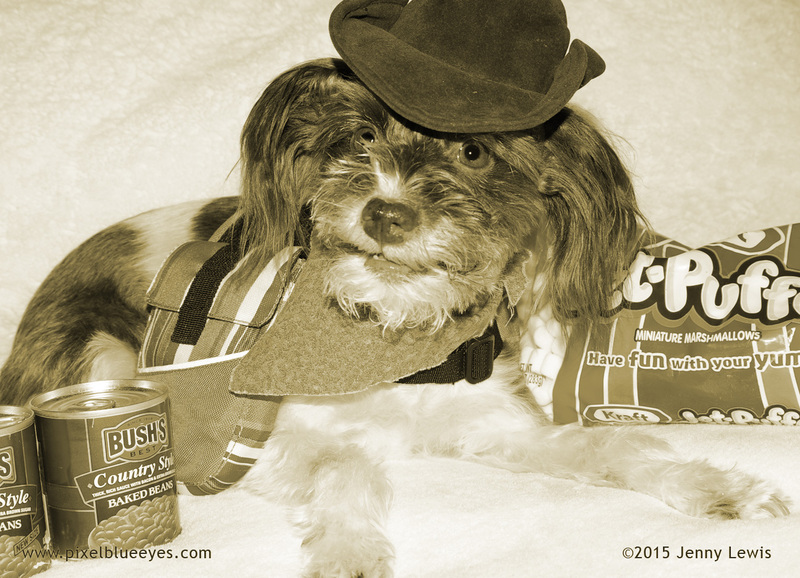 So glad you enjoyed them L.E., Rascal and Rocco! We had fun making them. I know, Mommy Jenny & I moped too, but several of our friends had to miss it as well, like you, so I guess in a weird way, it made us feel like we weren't so alone. We're hoping for next you too. Paws crossed for all of us my friend! !